Ready for the new game? 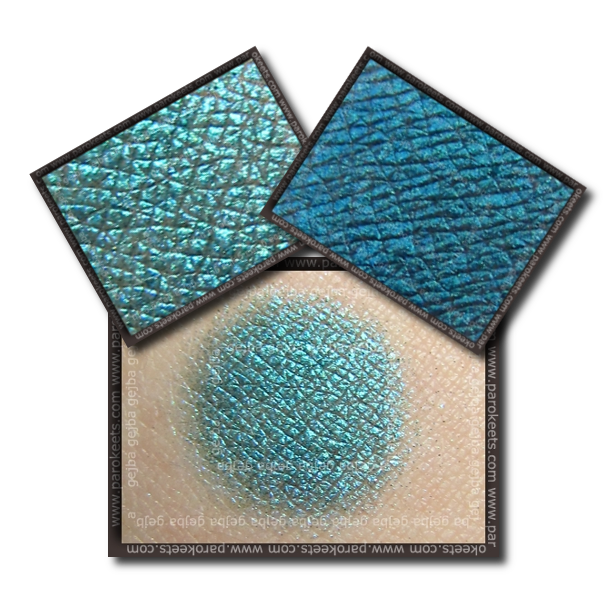 Today I have for you swatch of one of my favorite Sweetscents eyeshadows. In todays game you have to guess the name of the swatched eyeshadow. Write the name in the comment below this post. Everybody has only 1 shoot at guessing the name. Winner will be revealed in tomorrows post … if you guess the right eyeshadow that is. Winner will be the first one (on either English or Slovenian part of the blog) to correctly name the eyeshadow. And the prize? Sponsor of our second game is Sweetscents. Prize is your choice of any 2 small sets of eyeshadows from their limited editions, and one 30 gram sifter jar of rice silk or bamboo silk which are used to help hide wrinkles and fine lines. I’ love their limited editions. Quite a few of my favorite eyeshadows belong to one or the other limited edition. I must admit – I already envy the winner. Merry Christmas to our Orthodox Christian readers! I hope you’re enjoying lovely day with your close ones.